de Blob 2 is not only the second game of its series, but also the second port of the franchise to arrive on Switch; de Blob – the predecessor – made its way to Nintendo’s latest console just a couple of months ago. 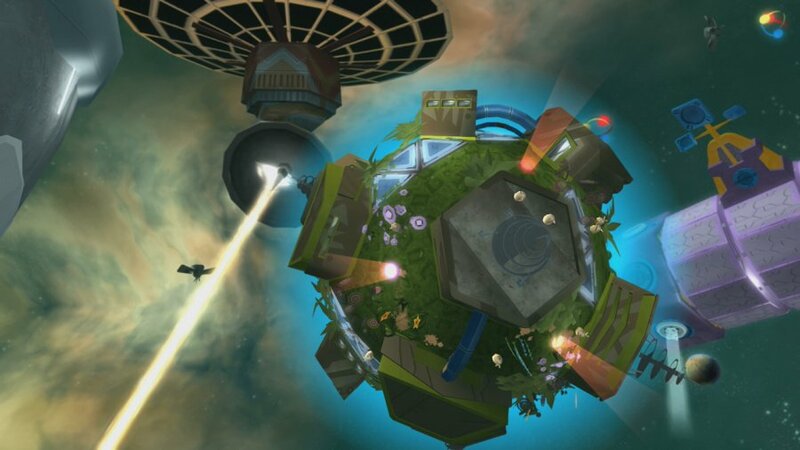 The first Switch port brought the original 2008 Wii game to a brand new audience with a shiny lick of HD paint, and de Blob 2 is clearly aiming to do the same for the 2011 sequel. But which one’s better? And what does this game do differently? Well, one important thing to note is that de Blob 2 originally released on PlayStation 3 and Xbox 360 – as well as the Wii which acted as an exclusive platform for the first title – and boy can you tell. One of our main frustrations with de Blob on Switch was the annoyance experienced from its cameras and controls, with even the simplest of tasks causing the odd flash of anger due to a lack of accurate control. de Blob 2 feels so much more naturally suited to a traditional controller setup than the first game, no doubt thanks to the fact that it was designed that way in the first place, and we had a much easier time playing as a result. That’s not to say that everything’s perfect, however; despite the improvements, we did still occasionally find ourselves accidentally falling off buildings when the camera wasn’t playing ball. Things are much better this time around, but de Blob will never be the platforming masterpiece it aspires to be without a good old tidy up under the hood. Elsewhere, though, the game is as bright and brilliant as the first title. You don’t need to have played the first entry to understand what’s going on – the baddies have drained the world of colour once again and it’s up to you (as Blob) to make everything all pretty again – and every cutscene and character is as exuberant and fun as ever before. These games are heavily geared towards a younger audience, and the gobbledegook language and comical enemies are sure to leave a smile on any child’s face. The gameplay is similarly best suited to younger players, which acts as both a blessing and a curse. Just like before, de Blob 2 has you reaching checkpoints to be assigned a small task – usually painting a row of buildings or taking out some enemies – before quickly moving on to the next one. The game never leaves you wondering what to do, with every single mission explicitly spelt out to you at any given time. Things feel a little more linear here than in the first game, too, with chances to explore usually saved for the very end of the level. Once you’ve completed each task, your guide – Pinky – finally offers up the chance to let loose and explore your surroundings. This doubles up as a chance to claim that lovely 100% completion mark and see everything that the game has to offer, while simultaneously giving you a breather from the objectives at hand. Younger or less experienced players will no doubt appreciate the guidance, especially as tutorials pop up every time any new element is introduced, but platforming veterans will likely get a bigger kick from those end-of-level sections. The game’s difficulty similarly never strays far from being relatively simple. It opens with ‘Easy’ or ‘Normal’ modes, but even when selecting ‘Normal’ we didn’t come across anything particularly challenging until very late on. 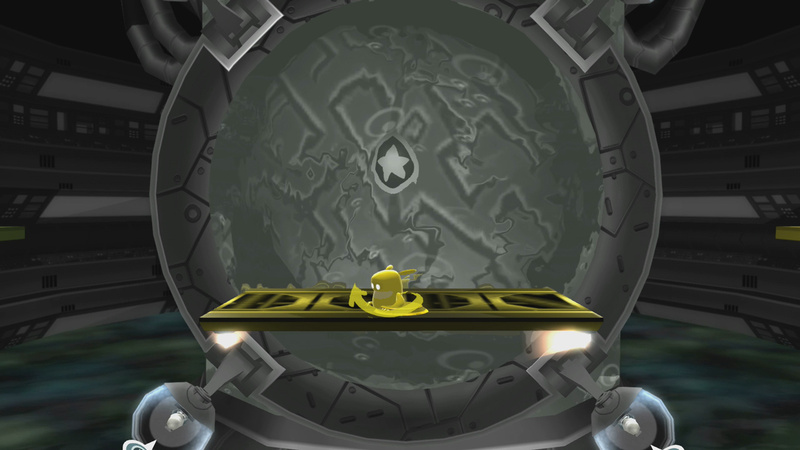 The levels are actually played on a timer, with a set number of minutes placed on the clock when you first begin. Theoretically, as Pinky keeps reminding you, this means that you need to get a move on, but you can pick up so many additional minutes by completing objectives that we rarely saw our timer reach anything other than absolute safety. While the main chunk of these levels follow on exactly where the first de Blob game left off, this predecessor does add the odd 2D section to change things up a bit. It’s during these sections that we found it easier to forgive the game’s linear, hand-holding approach, as these are a joy to play. You’ll be collecting paint just like before, but this time you’ll use it to trigger switches and levers – skilfully dodging other colours that would mess up your plans – and even draining your colour in water to squeeze yourself through small gaps. On top of this, a small (and simplified) RPG-like system has been included. As you explore each area you’ll be able to pick up points that can be spent towards abilities or attributes. By spending points on things like your maximum paint count or your total number of lives, you can make Blob stronger in areas which suit your playstyle. It only really acts as a minor part of the experience, but it’s a nice little touch all the same. The multiplayer side of things has seen a bit of a revamp, too. 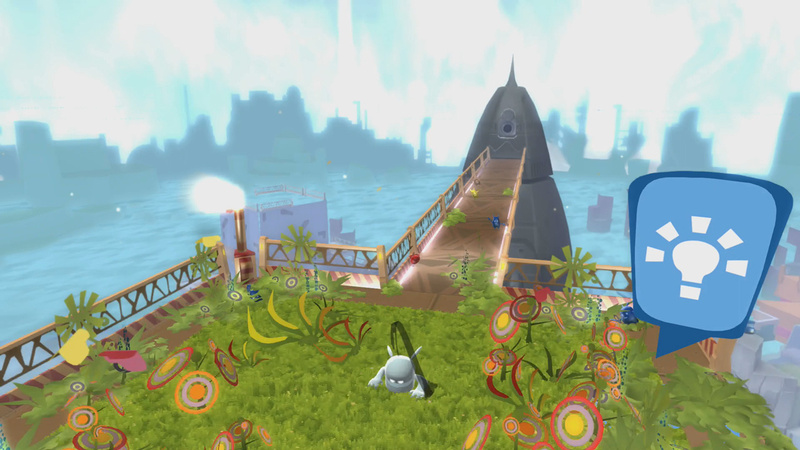 Rather than the competitive minigame nature of the first title, de Blob 2 features a series of levels which have two players co-operating to complete split-screen tasks. These levels are much smaller than the main game, but again, it’s a nice little inclusion to have. A second player can also join in with the main campaign, using Pinky to pick up items or ink for the main player, but there isn’t really enough for Player 2 to do to keep them interested for long. Finally, just like de Blob before it, this remake places a nice HD shine on proceedings, while still being subject to some blurry edges and fuzzy models. The colours and overall aesthetic are bright and bold, though, helping to make it as visually pleasing as possible. The soundtrack is also an absolute treat, once again adding layer after layer in its jaunty tunes as more and more paint fills the game world. It certainly has its drawbacks, but the world of de Blob is a fun place to be. 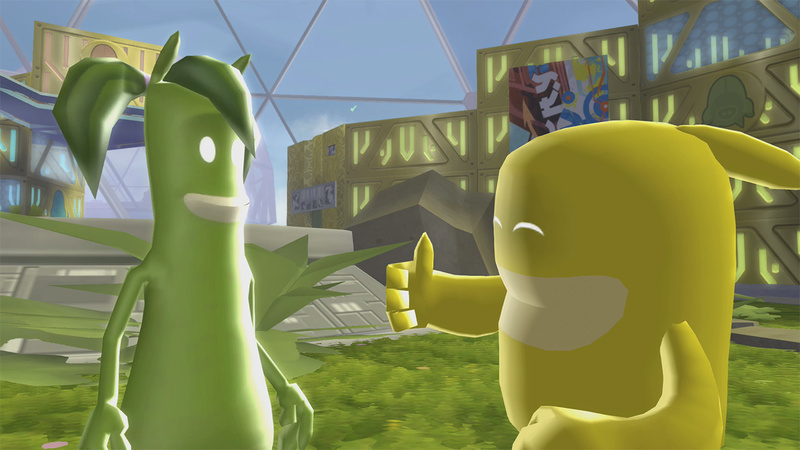 de Blob 2 keeps many of the same characteristics found in the original game, with both the brilliant – and the not-so-brilliant – features mostly staying intact. The cameras can still be occasionally fiddly, and things can feel a little too easy in places, but brand new 2D sections and a slightly more refined-feeling overall experience put the sequel just above the original in our pecking order. Either game should go down well – especially with a younger audience – but this one just about splashes its way into first place.